Thank you for your interest in The Brambles and our residential and day services for intellectually and developmentally disabled (ID/D) adults. 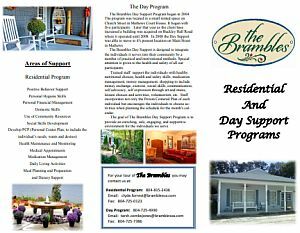 If you requested a brochure, please click below to download a full size version. Feel free to contact us for more information or to schedule a tour.